I never bought the Dreanor expansion, but with the new 6.2 update I now have access to these pets. Just got my first rare today. These were my first Dreanor pet encounter, didnt take long to find a rare. 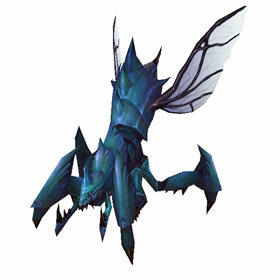 This pet is identical to Bloodthorn Hatchling, Mossbite Skitterer, and Thicket Skitterer. All 4 pets have identical movesets and come in the same 4 breeds with identical stats. The only difference between them is the appearace. With this in mind, you could choose all 4 breeds with each pet having a different breed. Even the S/B breed is slow at 289 and Puncture Wound has no bonus unless paired with a pet that uses poison and Takedown has no bonus unless the enemy stuns itself. Does anyone know what the preferred breed is on this guy? My original is an S/B, but the other day I was raising pets and a P/B blue was just blasting my crew. I was so impressed I captured him and will cap him and compare in fights. I believe the P/B is a better choice but I'll have to take the pair out for a test drive to find out if I'm right or not. 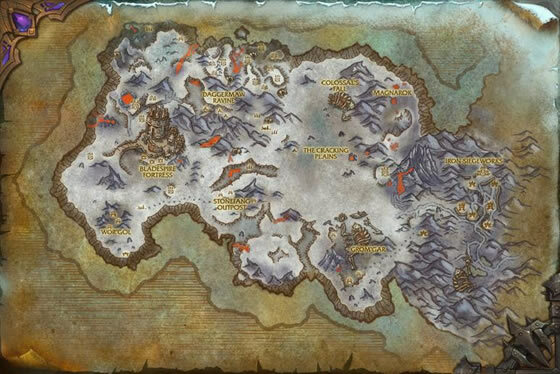 According to the database inside the WoW client, the regular (darker) blue occurs with a 9x higher frequency than the icy blue. 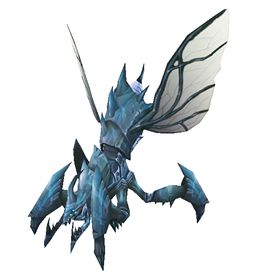 Since pet this never appears as a secondary in battle, you'll just have to hunt until you find a primary in the icy colour. They are all ove the zone, and very easy to find multipule rares. Plentiful around the Horde garrison, a rare shouldn't be too hard to find. Oh, and this pet comes in two pretty colors--be sure to catch your favorite shade!